Yes, you are right, I am dropping a hint here. Above, I used a chopstick, cut the card to my liking and tapped the cute quote to the stick. 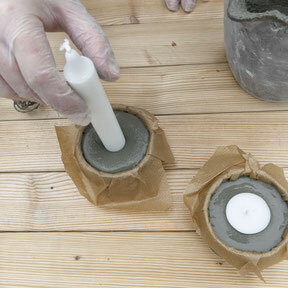 Reindeer moss flakes helped to put the stick and Multiflora Air Plant into place within my concrete chimney vessel. 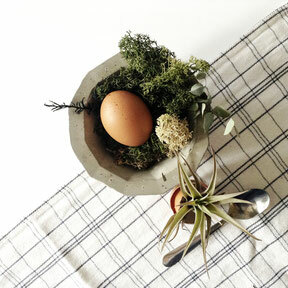 It's a wonderful surprise for all plant fans and gift idea number one! Valentines day is coming up and I feel like I gotta to share some love with you guys! 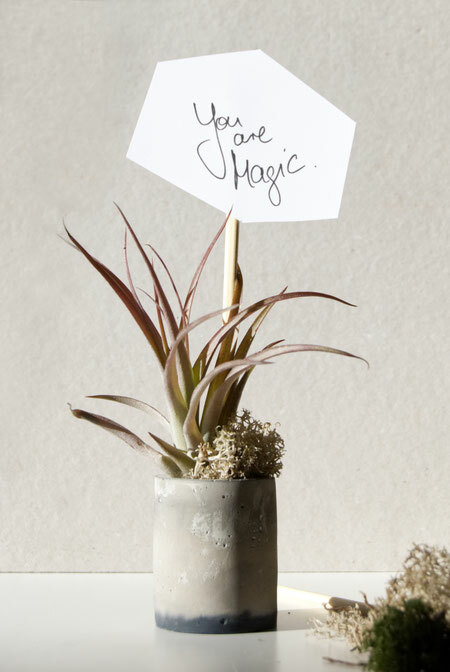 I mean you support me, love my creations, share and gift them, cherish them, well as they say - You are magic. 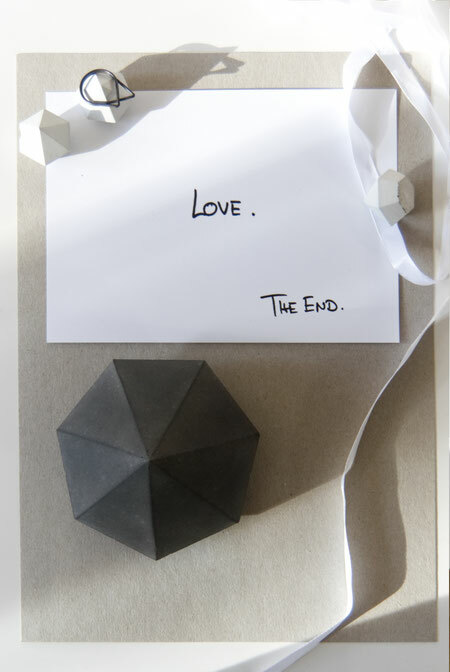 Give this cute sentence a lot more weight and add it to your Valentines gift or present it as card! Yes you can, it is the thought that counts so go on, check the downloads below and print it off, best in A5 or smaller. 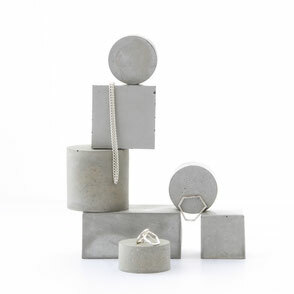 Diamonds, diamonds, diamonds - nothing else to say beside from they now come in 'concrete' and you can use them as paperweight, ring holder or display it proudly as a sculpture. I even created some with notes like 'you are gem' and more! But of course you can also go for the real thing and gift handcrafted jewellery by EniJewellery [ring left] or SlinkyLinksJewellery [leather earrings below]. Ahh and yes, didn't I say I want to share some love?!?' this is a second free printable for you to enjoy! Love. Well of course, I know, sometimes you've got big gifts to share and why not do it with the smallest card ever. 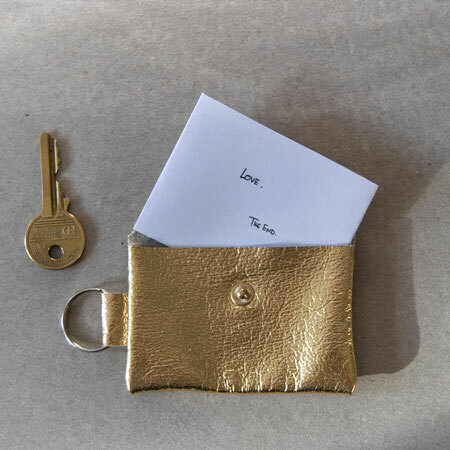 Have a look to the left for inspiration, the golden leather keychain is handcrafted by Suede&Co. Marvellous, don't you think?! Too cheesy, too big, too Valentines day??? Ok, lets just share a coffee moment and some time, heart mug above is by SmaltumFunEnamelWare. 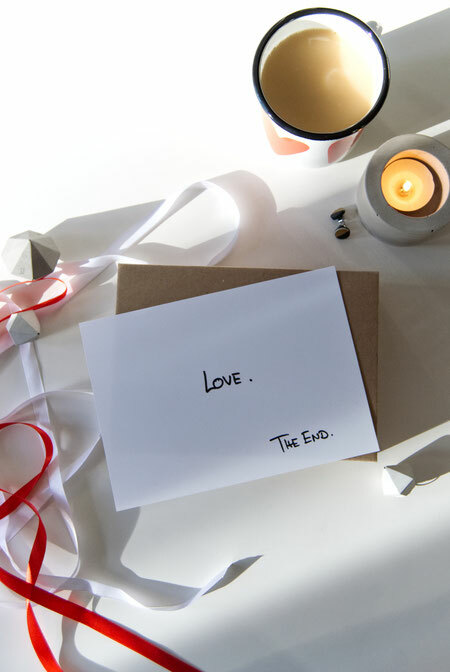 Free printable A5 or smaller card - Love. The End. 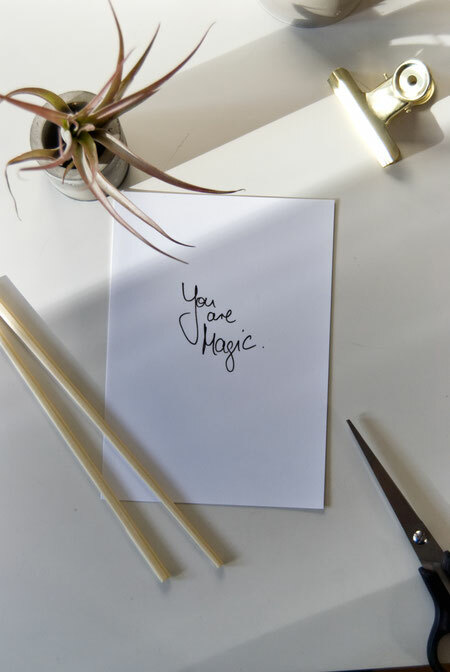 A5 or smaller free card printable - You Are Magic. ... a little note, these printables are for personal use only and the designers and crafters mentioned above are not affiliates but dear fellow makers I adore and recommend.